Phillip S. Howell (Director) practices in the areas of commercial and insurance litigation with an emphasis on first-party insurance, maritime, general negligence, construction defect and professional negligence defense in federal and state courts. Phillip has represented diverse businesses to resolve their disputes through the most efficient means possible, from informal negotiations, mediation and arbitration, to litigation and trial. Phillip also handles appellate matters and has successfully argued before the Florida Supreme Court. Phillip regularly defends clients in maritime, products liability and general negligence claims. Phillip represents insurance companies, design professionals, contractors, materials manufacturers and suppliers in litigation in state and federal courts. He also regularly defends other professionals, including lawyers and accountants in professional liability matters. Phillip also handles fire, explosion, and catastrophic damage cases on behalf of insurers, manufacturers, and equipment testing companies, requiring detailed forensic investigations and responses to regulatory investigators. 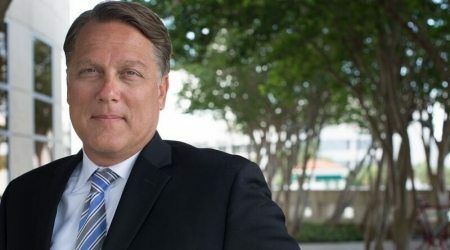 Additionaly, Phillip frequently defends property insurance insurers throughout Florida, and has developed effective strategies to assist in resolving claims and lawsuits promptly, when possible, and in defeating attorney fee entitlement and limiting unreasonable attorney fee awards. If a claim cannot be resolved reasonably, Phillip has the trial experience insurers depend upon. Phillip often presents seminars on Florida construction law, professional liability and general negligence law. He is “AV” rated by his peers from Martindale Hubbell, noted for his high professional ethics and preeminent legal ability. In addition to litigation matters, Phillip has handled a broad range of transactional matters, including business and commercial real property sales and purchases, re-financing, defeasance and foreclosures. He is well-versed in corporate formation, governance and tax matters. Before practicing law, Phillip practiced public accounting and continues to maintain his license as a Florida Certified Public Accountant, a designation he has held since 1991. Phillip also is admitted to the United States Tax Court. Representation of major insurance companies in first-party, multi-million dollar breach of contract and bad faith litigation involving commercial property and condominiums. Representation of lawyers, accountants, appraisers, insurance agents and real estate agents in professional negligence matters. Representation of developers and contractors in commercial construction defect and lien law matters. Representation of national restaurant chain franchisee in complex business litigation matters involving $11 million dollar business purchase and related long-term real property leases. Representation of developer in $7 million dollar foreclosure action, and related matters, including possible Florida DEP violations. Representation of an owner in connection with a $9 million dollar defeasance transaction. Representation of Individuals and Companies in Federal and State tax matters.